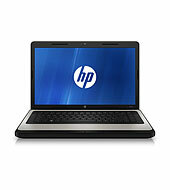 Hp 630 Laptop Drivers Free Download For Windows 7,Xp! The great thing about this model is HP release drivers for both windows XP and Windows 7, Windows Vista is not available but normally windows 7 drivers works with windows Vista. I rebuild the list by removing unwanted utilities and duplicate drivers with different version. Select 1 base on your specification. Thanks for reading HP 630 Drivers - Windows XP/7. Please share...!